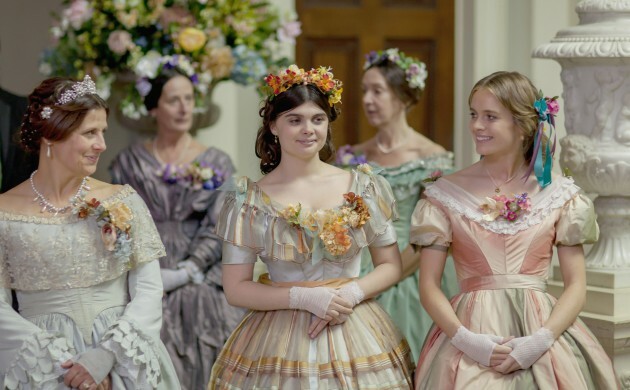 When you’re hot, you’re hot, and Julian Fellowes, free of the shackles of dreaming up more implausible story-lines for the Crawley family, has wasted no time in adapting Anthony Trollope’s much-loved novel Doctor Thorne, which premiered on Britain’s ITV in March. Doctor Thorne is set in the fictional country of Barsetshire during the mid-19th century. It follows the life of penniless Mary Thorne (Stefanie Martini), who grows up with her uncle Dr Thorne (Tom Hollander), and her relationship with her family. The series has received ample attention following the success of Downton Abbey with the Guardian calling it “awash with heaving-bosom action and cut-glass accents”. This week’s TV choice is like a journey through life from Nine Months that Made You (DR2, Sat 20:00) to The Secret Life of Teens (DR3, Fri 17:05) and finally The Stranger on the Bridge (DR2, Wed 23:50), in which a filmmaker tracks down the man who talked him out of committing suicide. Talking of heroes, we’ve got biodocs on Jesse Owens (DRK, Mon 22:45), Neil Armstrong (SVT2, Thu 18:00) and Magic Johnson (SVT2, Mon 22:15), while everyone’s favourite Irish comic meets his in Dara O’Briain meets Stephen Hawking to discuss some of the subjects covered in Cosmonauts (SVT2, Mon 18:05) and The Art of Hubble (DR3, Sun 20:00). Exploding onto our screens via Netflix this month, Lady Dynamite, with a massive 85 on Metacritic, is “blowing up the traditional sitcom”, claims the San Francisco Chronicle. Partially based on the real life of its star, the bipolar comedian/actress Maria Bamford, it is “cheerful, dark, surreal, profane, aspirational and meta-fictional”, applauds the LA Times. We follow Maria as she moves back to LA to resume her life again.